Does everyone have a wonderful weekend? We did, our family went for a short staycation the weekend before, and it was wonderful. Angela and I have prepared a girlfriends party while our mother was relaxing by the spa. We much consideration we decide to have an apricot, mint, and silver theme party. Accompanied with the sweet pastry, stripes, and spring flowers. 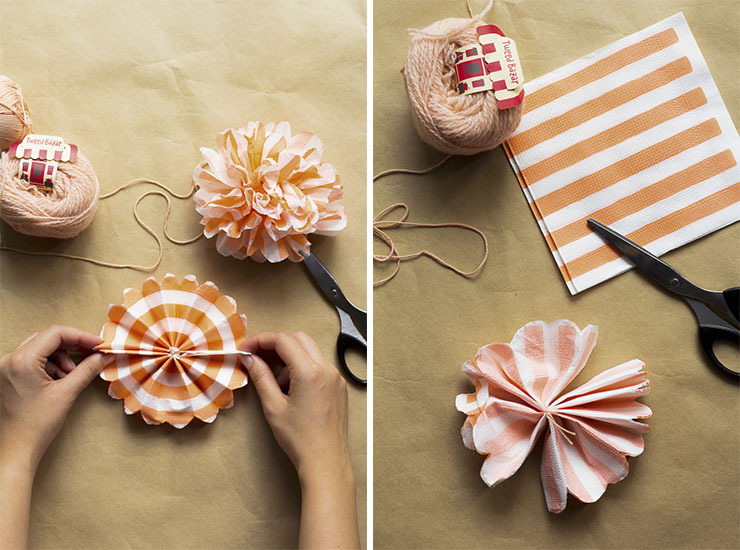 Thus, today we are going to show you a quick and simple tutorial on how to make these mini pom pom flowers. 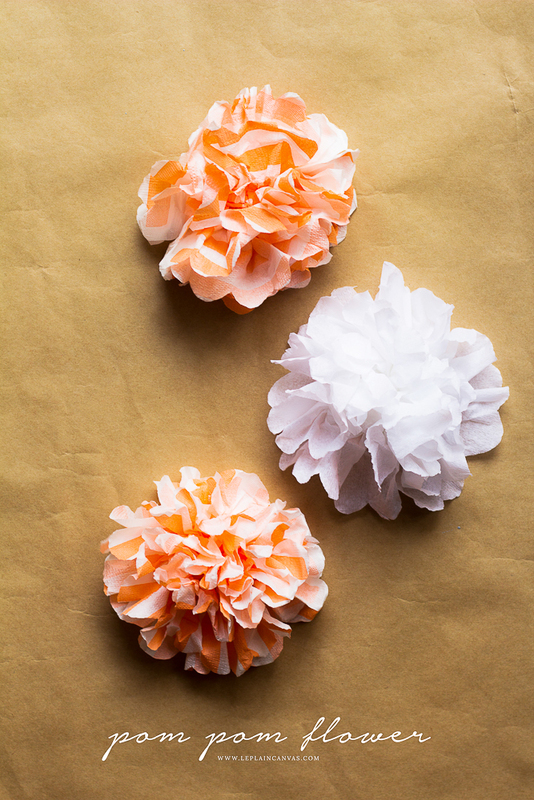 These pom pom flowers are best in party decoration, don’t you find them just way adorable? What I am seeing is a perfect accessory for all kinds of parties and receptions like baby showers, bridal showers, Friendsgiving, Mother’s Day and etc. A pastel theme is most beautifully cater for spring and summer occasions, thus they are great for all year round if you want it! 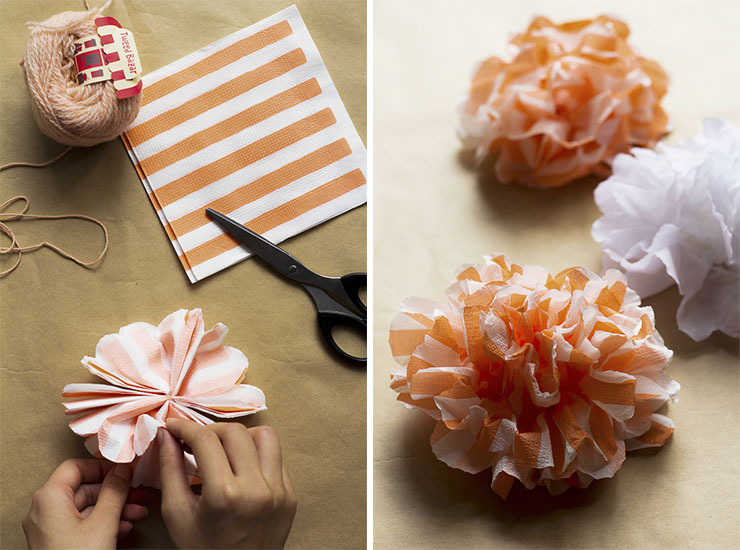 So let’s pull out all that leftover tissue and make some of these pretty mini pom poms! 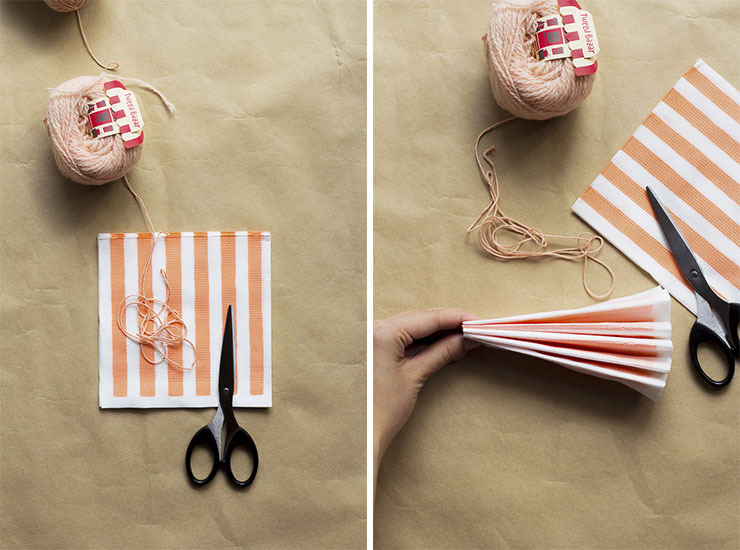 We found this pretty apricot tissue paper at the craft store after searching high and low, it’s a simple stripe yet gorgeous in shades. Step 1: Fold 4 sheets of tissue paper a with 7 folds, each fold about 1 inch wide. 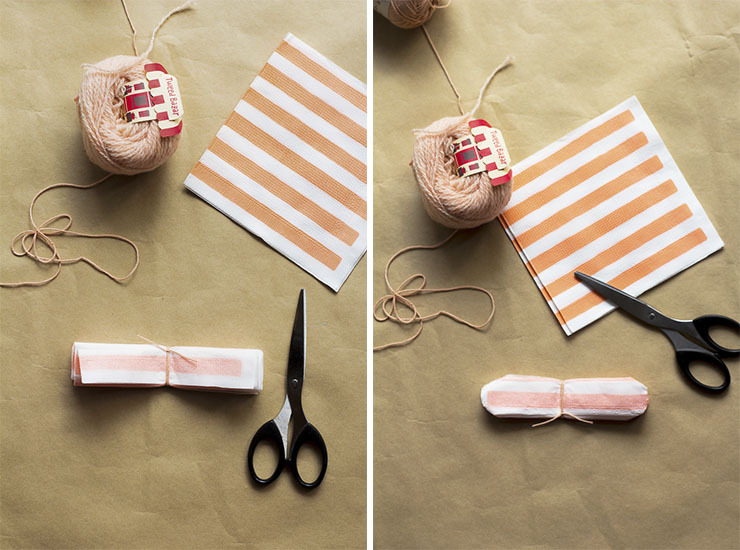 Step 2: Tie the folded tissue papers with a wool string. We recommend you to tied it with either white or color string that suits your pom pom. Trim off two sides of the corners into a rounded edge. Step 3: Open the two side of the rounded edge. While simply pulling apart the layers of tissue, working from one side to the other. 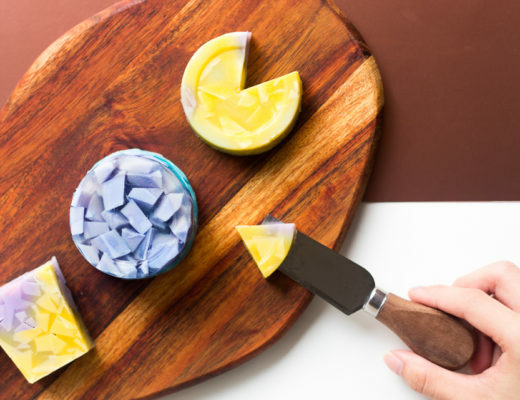 Once all the layers are separated, give them a good fluffing with your fingertips. 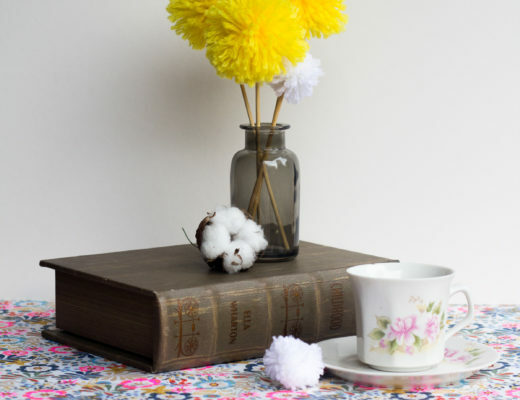 This simple act gives the pom poms a nice, fluffy look. Even though it will take a bit of working with this pom pom flowers, but soon you’ll them all ready to go! Personally, I have a soft spot with colorful papers and hanging decorations. That make one of my favorite things in the world is garlands. 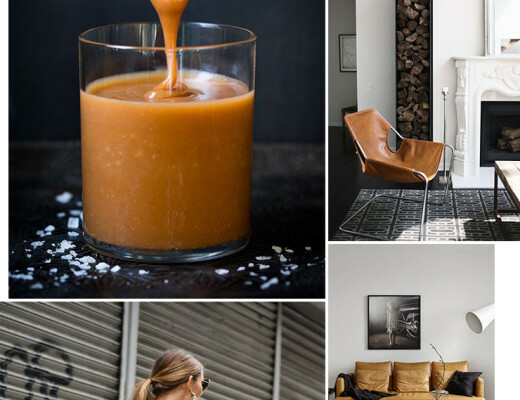 We’ve been tried coming up with excuses for parties just so we can make them to decor the spaces. While this project is a simple twist on a pom pom garland – by stringing them vertically with paper leaves so they become vines. You can hang them on trees or tie them to a strand across a ceiling to fill up a room. Therefore, I’m so excited to be teaming up with them today to bring you a quick and easy DIY idea for a perfect backdrop for your next celebration. There will be more creative tutorials coming up! Please make them and take a photo, send us an email, tag us on Instagram, tweet us, anything. We love to see yours!